IT'S HERE 🌴💥🎉 AMP Lost & Found 2017 line-up now revealed on our website. Phase 2 tickets at £85 are now on sale and in limited supply, for 4 days and 4 nights of parties in Malta! 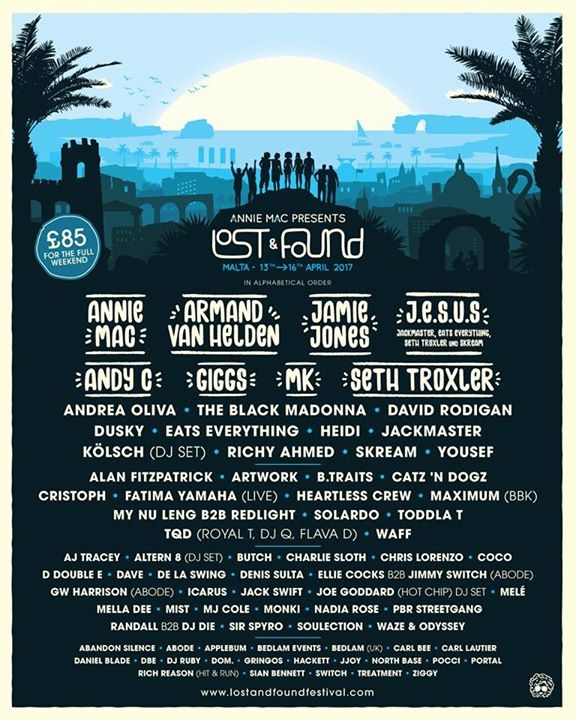 This year’s AMP Lost & Found Festival will be extra special as it’ll be Annie Mac's first DJ performance in 6 months.